Made of high quality soft 100/% cotton. Care inctruction: machine wash cold with like colors. tumble dry low. 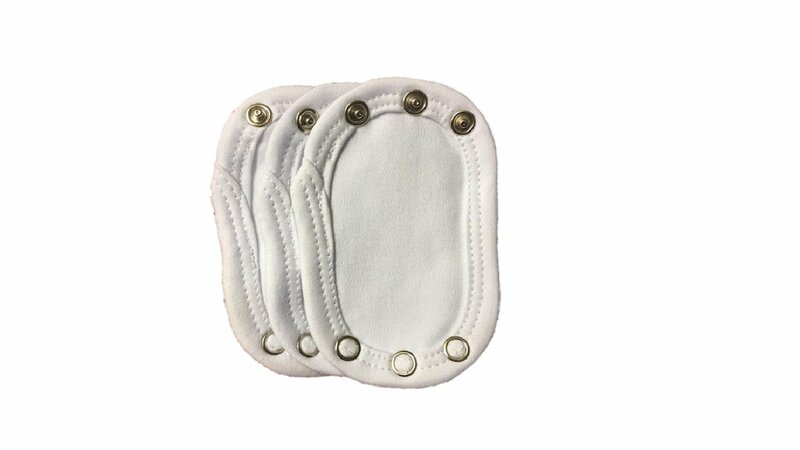 These soft 100 /% cotton baby bodysuit extenders increase the life of your baby's bodysuit which is still fit on his// her body but just has gone short in length. No worries. Its totally natural for babies to grow taller before they actually grow bigger. These baby bodysuit extenders come to your help to save those cute beloved bodysuits that you are not ready to give up on yet ! 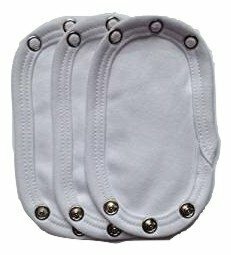 They are also a must have for those who prefer using reusable diapers as they need the extra bodysuit length to cover the bulky diapers. Please note every baby apparel brand uses different size snaps but the main sizes they use are 8mm and 9mm snaps. 9mm snaps are widely used by major brands such as Carters, Mother care, Disney, Kohl's jumping beans and more. 8mm snaps also are mainly used by brands such as Baby Gap, OshKossh, Baby gear, bon bebe, baby Cat /& Jack, Old Navy and others. Please also note that same brand sometimes uses different sizes of snaps. Its best to check the size of your baby's bodysuit snap before ordering so you get the most suitable pack and the best that works for you.